The same attention to detail that goes into the Par Aide ball washers also goes into their spike and shoe cleaners. Bristles made from the toughest nylon fiber available to prevent them from matting down. Base is made of black anodized cast aluminum, so there's no paint to chip. 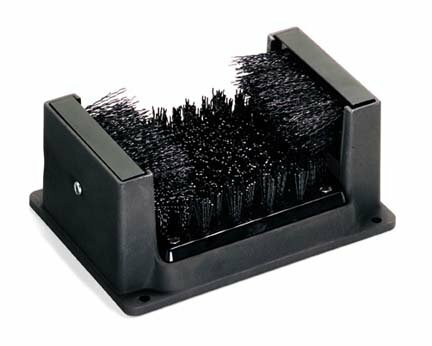 Base brush available with traditional nylon bristles, or crimped bristles that are softer and denser to clean alternative spikes. Both styles fully interchangeable. More important than ever for on-course use with popularity of alternative-spike shoes.